There is something so refreshing about a town that still lets me enjoy Summer Camp as an adult. OK, fine. So it’s not summer camp. But it certainly has felt like it. Tonight I get to go see 2001: A Space Odyssey on the big screen in 70mm. I will freely admit that I’ve tried to watch the film before and never fully gotten into it. I’ve had several “Kubrick” conversations and found that, while I actually really do enjoy his work (I thought that I only enjoyed the early bits, silly me) I have a rough time with this particular film. However, what I get to do tonight is experience it the way that it is supposed to be seen: up-close and personal, with the best projection and best sound in this goddamn city. I am a Los Angeles native and a film archivist/preservationist in training, so I am very aware that the experience that I will have tonight will be like none other. Therefore, if I do not enjoy or at least appreciate the vision that Mr. Kubrick placed upon the screen, I think there might be something wrong with me. My stance: I don’t have to like the film at home. Most films were not made to be watched at home. Television was made to be watched at home, not film. I learned this when I watched All About Eve (Joseph L. Mankiewicz, 1950) at the New Beverly a few years ago. I sat there in awe as it unleashed magic before my eyes in a way that the small-screen version never had. I use that film as an example because a) it was the first one that ever “wowed” me on the big screen when I compared it to my experience on the small screen and b) I realized that it “wowed” me even though it did not possess even one “special” cinematographic shot. There was no Jimmy Wong Howe-ness, no Gregg Toland to give it visual credence (not that it wasn’t visually stimulating or gorgeous, it just was shot in a fairly standard manner). It was a simple film. But it looked better on a big screen. It also played better with an audience. This is what I mean by summer camp. I saw Sleeping Beauty in 70mm and, while I think Disney is ok, I cried at how gorgeous it was. And yet I was struck with child-like wonder at the colors and the story-telling devices and the animation and art. In my mid-30’s, a fan of punk rock, experimental weirdness and all kinds of “alternate” things, I was, all at once, the little girl that I probably had never been. It was pretty phenomenal. And now summer camp is heading around the bend. Now we’re heading into what we used to call (when I was a counselor) the third session. Third session was always the most melancholy and kind sweet. We all knew we had to go home soon, so we were holding fast to the friends that we had made all summer and man were we pretending that the end was never going to arrive. I make my confession to you: I have 3rd session syndrome. And it was only made worse when I saw that the New Beverly was pairing up with Ain’t it Cool and Peyton Reed to put on a Summer of ’82 fest like the Alamo Drafthouse. Sorry, but I’ve only seen Poltergeist (Tobe Hooper, 1982) once in my life and that was ages ago, so…color me excited. Not only that, but this Wednesday night I will be sitting in that theater like a cinema champ, ready to watch Dead Men Don’t Wear Plaid (Carl Reiner, 1982) and Night Shift (Ron Howard, 1982). As a Film Noir junkie, Dead Men is, likely, one of my very favorite films. It’s my bacon, my ice cream, my “having a bad day? Steve Martin will solve your problems with black and white comedy” film. I had a friend in college who I used to go around quoting, “Your pa-yamas! Your pa-yamas!” at random moments. Don’t know what I’m talking about? Oh, please come on Wednesday. It’s showing Thursday as well, but Wednesday is the night when they’re doing the intro and who doesn’t like a good intro? The other films showing? Oh, I dunno, The Thing (one of the few perfect films, in my estimation), Star Trek II (Khaaaaaan!!!). Oh yeah. So, whaddya say? Come to camp with me? Y’know, the food isn’t bad, the guys and gals are pretty hot, and it’s always a good time. When is the next time you’re going to get to see these films in 35mm? With an excited and enthusiastic film-loving audience like that of the New Beverly? So, you may have seen some of these films already, but the question is, but what format was it on? If you have only ever viewed John Carpenter’s The Thing at home, you’ve never really experienced it. It’s like the difference between a microwave Chicken Piccata and one that was freshly made by a master chef. Sure, they have the same basic shape but…are they the same? I will leave that up to you. As for me, I’m heading back to the mess hall and the cabins. Cinema Summer Camp is fun. In 1983, Canadian musician Trans-X sang about what “living on video” might be like. A “computer fairyland” he murmured, all the while his bandmates slipping VHS tapes into VCRs and playing with other kinds of “new” equipment in the background. While the music video format dates back much further than the early 1980’s, the biggest music video aggregator in the world, MTV, had just begun in 1981 and Trans-X was clearly playing to that market. Not only was this song a synth-y piece of self-reflexivity and music media-awareness, but it expressed the massive influx of “new media” that was happening around that time as the moving image market expanded with the onset of home entertainment at large. While the world had been gradually dipping its feet into the waters of Video Cassette Recorders since 1974, it boomed in the early 80’s. By 1984, VHS had won the format war over Betamax, controlled 85% of the market (Total Rewind: The Virtual Map of Vintage VCRs), and home entertainment itself had blossomed to the point of threatening theatrical film exhibition. As Jeff Ulin notes, “[b]y 1986…combined video rental and sales revenues ($4.38B) exceeded the theatrical box office ($3.78B) for the first time. By 1988, rental revenues alone ($5.15B) exceeded the theatrical box office ($4.46B)…It was the VHS format that took hold and by the mid-1980’s dominated.” (Ulin) While the ease and simplicity of the VCR may not have seemed like a big deal to the general populous, it rocked every layer of the moving image industry, all the way from production to archival institutions. Clearly, if the box office was being affected, things were going to have to change in the studios, and they knew it. What were they to do? Like the advent of television, this new technology had torn the audience away from the theater seats and the studios were going to have to do something to fix that. Unfortunately, Cinerama had already been invented. So much for that idea! So production was in a quandary. On the other end of things, the moving image archive world’s take on video was a little different. It wasn’t necessarily about the money being lost as a result of the change in exhibition formats as much as the information caliber on the formats themselves. As usual it was about preservation of materials. Moving image archivists were already well-aware of the problematic nature of videotape as they had been working with those elements for quite a few years. While VHS may have been the “new kid on the block” so to speak, television studios had been using video tape itself since the late 1950’s. In other words, this was a format that the archival field was familiar with. With the introduction of the VHS (Video Home System), archives now were given an alternative manner in which to provide certain materials. From this point forward until the onset of the DVD market, the VHS proved to be the primary visual tool used for education in many classrooms and was an inexpensive and simple means of distribution for moving image access copies. Equally as important, VHS and its equipment became another tool used by many experimental/independent filmmakers because of its cost, ease of use and “instant” nature. "High Tech Baby" (1987) by Korean artist, Nam Jun Paik, considered to be the "Father of Video Art." 13 5-inch color TV monitors, aluminum, painted wood cabinet and Heart Channel VHS video tape. So what does all of this have to do with Video-On-Demand? After all, it’s no longer on video anymore. It’s a digitized format. There’s no real video that is being demanded, if we are going to get literal. Right now, in the moving image archiving field and the film industry we are going through a massive set of growing pains. While others might label it something nicer, there are too many unanswered questions and difficult situations for it to be anything less than painful at this particular juncture. But, like any growth spurt, the outcome should be much more fun than puberty and look nicer too. It’s just a little uncomfortable right now. Similar to the onset of the VHS revolution, everyone’s technology is changing. There’s 35mm going to digital. Films are being offered at home on the very same day that they are being released theatrically (VOD). Technology and business models are changing drastically just like they did 30 years ago. This time, however, it’s at a far more rapid pace than it was in 1984. Also, it seems to have taken on a very Bizarro-world feel to it. Whereas the 1980’s technology switch seemed to favor the everyman/public by furnishing them with access to moving images in a more affordable manner and allowing archives to provide access in a more inexpensive and reasonable way, this time it seems to be (at least partially) behind the folks with the bigger wallets who have the funding to support higher technology on all fronts, cable and its glories, and the higher echelon of goods. Halting to look and see some of the repercussions or wayside issues has not been of the highest priority. While the progress in the digital domain has been impressive, equally as essential are the issues that might get left behind. This technological change has been functioning a bit like adolescence. It doesn’t seem to be the most organized process, as the communication between certain factions is non-existent (but who really communicated well when they were a teen?) and some moving image areas seem to be in a bit of a predicament due to that, but other areas seem to be doing exceptionally well as a result. Like being 15 years old, this entire situation of new technology seems to be a bit rocky. The moving image community, whether it’s production, distribution, or archiving is getting a new body and we’re all getting used to the way it works. Anatomy is a funny thing. Let’s look at what our new physiognomy is developing into, shall we? So what happens to all those films after you watch them at the Los Angeles Film Festival? And after you leave Park City or the last presentation at AFI, where do those films go? Have you ever stopped to wonder where all the used and unused festival submissions might end up? Many people will respond in an abrasive manner to this inquiry. “Probably in the trash,” (to which I may not disagree) they might say, “and if they didn’t bother to back it up or save it, well…that’s the filmmaker’s own fault!” At this point I might bristle. Can we ethically be thrilled upon hearing that John Carpenter’s student film was discovered and yet consciously disregard a person’s submission to a film festival because of their personal data management policies? I call shenanigans, pure and simple. We have no idea who that person might end up being, what the material may contain, and, according to archival principles, it just doesn’t matter. The submissions of a film festival, regardless of where they came from, are unintentional creative sampling. This is also the reason why they should maintain their provenance and be archived properly. It seems that with some film festivals, the term “archive” is a very loose term, even when they are dealing with actual film elements. While some festivals do indeed recognize the word, they do not seem to apply it to the materials that they collect. The Raindance Film Festival in London has an “archives” area on their website, but unfortunately it is only to showcase past festivals. When you look into the Frequently Asked Questions, and see about what happens to leftover festival submissions, there are two options: the filmmaker will pay for the return of the submission (with no clear-cut guarantee on how the element will be shipped) or simply leave the materials to be “recycled.” (Raindance Film Festival) While other places like the Regent Park Film Festival actually seem to have an archive for their works (their site specifically states that “select preview tapes will be added to the RPFF’s archives for consideration to our year-round community screenings”) (Regent Park Film Festival) and the Dance Media Film Festival’s specifications hold for the custody of the preview DVDs (the “screening media” will be returned to the filmmaker after the festival) (Dance Camera West), it is frighteningly obvious that the vast majority of film festivals simply return or “recycle” most of their submissions post-festival. Clearly, there is a severe disconnect between the festival circuit and the moving image archiving world, and the responsibility is as much ours as it is theirs. However, regardless of fault, we are both missing out on a golden opportunity to a) save valuable media objects (our responsibility) and b) have past events be maintained in a retrievable and accessible manner (their responsibility). While it is very likely that many of the larger film festivals (Sundance, L.A. Film Festival, Toronto, etc) do have vaults or libraries for a certain amount of items, it is far more likely that they do not have enough space. Thus their participants are forced to keep their materials elsewhere which could be home, the back of their car, lost, or simply at another vaulting facility. There is no way of knowing. What is known is that once materials are lost, if there is no secondary copy or if the piece is not somehow backed up… they are lost for good. These materials could be analogue, digital, or both. However, as we have previously noted, the world is continuing to move forward with technology, and festival submissions are more and more likely to be born-digital which makes them even more fragile than filmic submissions in certain ways. Indeed, when it comes to preservation, the difference between analogue and digital is quite notable. Preserving digital materials is much like babysitting small children: they need to be properly cared for and checked in on frequently, lest they end up “dysfunctional.” The preservation of analogue materials, while no less meticulous, is more like the maintenance of a good relationship with a friend: make sure it is in good shape, the information is always correct, and it remains protected (should the situation arise). One of the most important studies to have come out recently, the Digital Dilemma 2, took a serious look at film festivals and surveyed independent filmmakers. They noted that film preservation was “not a topic requested by film festival attendees.” Indeed, the concerns of the filmmakers were reflected in the statistics. Their films were simply not getting picked up or distributed. The 2011 Los Angeles Film Festival alone received 4,521 submissions and screened 153 (3 percent) while the 2011 Chicago Film Festival got 3,640 and screened 194 (5 percent). The 2011 New York Film Festival topped the list, including avant-garde shorts, screening 138 films out of 1700 submissions (8 percent). (Science & Technology Council) With figures like that, preservation of materials may not be the first thing on a filmmaker’s mind. Very likely, the most immediate thought in a submitting filmmaker’s head would be: my work didn’t get into Telluride- where can I submit it next? How can I still make this piece live? In many ways, Video-on-Demand has been the answer to many independent filmmakers’ desperate prayers. Initially, the changing film landscape looked grim for the “little people.” An independent filmmaker’s row has never been an easy one to manage. What were they to do now about the fact that, similar to the mid-1980’s, home entertainment was now making a serious comeback, and rocking the exhibition business model down to its chewy center? In this day and age, it seems to be a case of “if you can’t beat ‘em, join ‘em.” Theatrical exhibition may have seemed preferable at one time, but what if you could have your cake and eat it too? What if you were offered a deal where you could have your work displayed on all media platforms at the same time (televisual and theatrical) and still have the right to submit work to festivals? Independent cinema has been a huge part of this growth. If it wasn’t for this market trend, films like 13 Assassins (Takashi Miike, 2011), Melancholia (Lars Von Trier, 2011) and Margin Call (J.C. Chandor, 2011) would have remained silenced. Their participation in the Video-on-Demand market, however, created more steam for everyone else, not to mention their own coffers. Margin Call was one of Sundance’s biggest VOD success stories. Handled by Lionsgate and Roadside Attractions, this “financial thriller” had a budget that was a bit under $3.4 million, was bought for $1 million, made $5.3 million domestically…and made another $5 million on Video-on-Demand. (Miller) And it seems that they weren’t alone in their triumph. The early VOD release of Melancholia blossomed into the most economically successful film director Lars Von Trier had seen since Dancer in the Dark (2000): $2 million gross to a $3 million theatrical take, in total. And Takashi Miike? He strutted away with $4 million from the VOD release, while theatrical only produced $1 million. Another director, Sean Bean, made $22,000 in theaters for his film Black Death and did a “Miike.” He too walked away with $4 million. (Lyttelton) Clearly there is a market for this brand of entertainment. There have been various concerns raised about the Video-on-Demand process and there seems to be a kind of “format war” again; theaters and other industry voices are echoing sentiments not heard since the disappearance of Betamax. “It’s cannibalism,” they’re saying, “these films! The introduction of this new technology has horrific repercussions! Theatrical will suffer! What are we going to do?” And they are not fretting for nothing. Exhibitors have valid apprehensions. According to current statistics, “theater owners usually divide profits 50-50 or 60-40, but cable companies typically allow distributors and their partners to pocket about 70 percent of a film’s VOD profits.” (Lang) While this makes Video-on-Demand an incredibly tasty morsel for independent filmmakers who have a small budget to begin with, it makes it quite difficult for theaters who are already suffering great losses due to the fact that audiences are lessening all the time. According to the New York Times, there has now been “four consecutive summers of eroding attendance, a cause for alarm for both studios and the publicly traded theater chains. One or two soft years can be dismissed as an aberration; four signal real trouble.” (Barnes) While it is highly unlikely that it is solely the VOD market that is responsible for this change in the viewing landscape, it is not difficult to see why exhibitors might have a slight problem with films that are released to a waiting public, in their homes, either before the theatrical release date or on the same date-and-day. It’s rough to try to navigate the Video-on-Demand world. On one hand, everyone should have access to these films and watch them. In that sense, VOD has opened up worlds that no one ever dreamed possible. On the other hand, some of these films, as Jackson stated, are not exactly “standard fare” thus will benefit from the Video-on-Demand format. Independent cinema has never been a mass audience affair, thus a smaller and more personal technology like VOD suits the genre of “indie.” In addition, the outreach implications are tremendous. People in the middle of small towns can watch whatever they wish. Certain films that they might not be able to take their families to or tell their friends that they have an interest in, such as Rob Epstein and Jeffrey Friedman’s Howl (2010), which opened up Outfest in 2010 can now be viewed in the safe space of one’s own home. The “flyover states” are privy to the same works that those of us in big metropolitan areas have. The same night that I go out with a girlfriend to watch Kill List by Ben Wheatley here in Los Angeles in the theaters, someone in the middle of Idaho could be accessing the same film via Video-on-Demand. There is something to be said for this, and yet it may have changed our entire outlook on the film-viewing process. One must stop and think: is the ability to have films catered directly to us affecting the manner in which we affect the filmic process? In discussions on the Video-on-Demand process, John Schloss of Cinetic Media stated, “There’s much less overall preciousness about the theatrical experience…there’s a long history of filmmakers who want their movies to appear on a big screen, but that’s less and less the case. The quality of the home entertainment experience has gotten so much better, there are new screens and equipment.” (Lang) I feel that this quote begs the question: has the theatrical experience gotten less precious? Does the influx of new toys mean that a night out has lessened in meaning and/or quality? Is this the reason that people treat the movie theaters as though it were their living room, making phone calls, texting friends, carrying on extended conversations throughout the film? Has bringing the theater into our homes meant that we, in turn, bring our homes into the theater? I believe this to be the case, and I believe this to be the most dangerous outgrowth of a technological advancement such as Video-on-Demand. While it certainly platforms the work of independent filmmakers and assists them in ways that they would never have dreamed possible, the new home entertainment technologies rip us away from what moving image entertainment is designed to be, and forces studios to come up with higher ticket prices, and IMAX 3D to the nth power just to get audiences to “return home.” The content is not the issue in this circumstance. It is the method through which the content is communicated and the lack of balance and structure that these organizations have created between home and live viewing. We are at a film industry crossroads at the moment, much of it due to over-excitement about new toys and poor planning/education about options. As an archivist in training, I see a time when the present technology will change too. And when this occurs, what then? From Gravitas to IFC, the Video-on-Demand world has made the moving image archive landscape extremely complicated. Not only is there concern over the preservation of the various different types of festival submissions (and festivals! ), but there is ample disquiet about the materials that have moved through the ranks and made it to the honored position of Video-on-Demand. While this is clearly a step in the right direction for the creative talent, what does this mean for the archives? Why is it that there is not an open communication between professional moving image archives and professional organizations that are, in fact, aggregating the materials? It seems to this moving image archivist that there is something rotten in the state of VOD. The reality of the situation is that not only are the original materials used for the VOD broadcasts in need of an archival home, but in the process of migrating each element to a form that is “demand-able” new materials are being made, thus creating more materials for each title. My question here is…who is caring for them and where are they going afterwards? Judging by the study that came out this year (Digital Dilemma 2), there does not seem to be a great deal of preservation concern amongst the VOD-independent cinema community. This is cause for alarm. While the success of independent cinema due to the VOD-strategy should be celebrated, it will mean nothing if there are no films to be watched down the line. This is a unique opportunity for moving image archivists, film industry professionals, and Video-on-Demand experts to come together in a consortium in order to create unique collections for the filmmakers, the festivals, the VOD companies, and the archives themselves. The preservation of these materials at an archive means long-term care and access, and not simply for the filmmakers themselves. Depending on the donor/deposit agreement, the placement of these materials could grant scholarly admission and perhaps the eventuality of future requests to license said materials for financial compensation. Additionally, if there were ever to be a festival retrospective of any sort, all the elements would be in one location and not dispersed or, heaven forbid, non-existent. Opening the lines of communication with filmmakers and other professionals is not always easy. But in this circumstance, it is necessary. As Lynne Kirste wrote in her discussion of the Outfest Legacy Collection, “amateur and independent productions are rarely widely distributed, [and] typically only a few elements exist of each title. If these elements remain in filmmakers’ closets and basements, they will eventually deteriorate, suffer damage, or be discarded and lost. In the meantime, only the filmmaker has access to the materials. To make these images viewable now and in the future, archival outreach is essential.” (Kirste) What Kirste wrote in regards to Outfest is sadly accurate about all independent and festival cinema and is particularly applicable in this situation. These independent filmmakers are the only ones who have access to the preservation copies of their work. As for any newly-produced VOD-digital copies, it is hard to say who might be in the possession of those. Whatever the case may be, for the same reasons that Kirste writes about, these elements need to be located, collected, and organized into collections. While it may sound difficult now, it will be much harder further down the road when someone is doing a retrospective on a famous director, finds out that his/her first work was a festival film that was direct-to-video/Video-on-Demand, and the digital copy produced for IFC was not preserved. To avoid situations as the one just described, it is crucial to impress upon both the creative talent as well as the business side that it is in their best interests to coordinate with a professional moving image archive for storage, preservation and access purposes. By working with UCLA, the Sundance Institute has managed to secure a location where they know, without a doubt, their materials will be kept safely. This way they can continue working on their main goals and build their archive. Indeed, through their partnership with UCLA, Sundance’s goals are being met in two ways: 1) the simple act of preservation/archiving of materials and 2) by UCLA’s ability to provide access for a more extensive audience of students, scholars and possible business opportunities. The UCLA Film & Television Archive is, after the Library of Congress, the largest collection of media materials in the United States, with more than 220,000 film and television titles and 27 million feet of newsreel footage. Outfest is going in the same direction with slightly different objectives. While their festival films are also housed within UCLA’s vaults, they are done so under the designation of the Legacy Project. The Outfest Legacy Project is a “collaboration between Outfest and the UCLA Film and Television Archive [and] is the only program in the world devoted to saving and preserving lesbian, gay, bisexual, and transgender moving images.” (Outfest) While the festival materials are clearly intrinsic to the Outfest collection, so is everything else. This is a festival that saw an opportunity and grabbed it. Not only have they housed the festival items with a welcoming archive and provided access to the public but they have gone one step further: they have transformed the collection into what it was named for- a legacy. Outfest embarked upon the Legacy Project to try and solve a moving image crisis that had been discouraging at best. However, through open communications with UCLA and a partnership that set out goals, desires and plans, what was once simply a deteriorating print of Parting Glances (Bill Sherwood, 1986) has led to full restorations of 35mm, 16mm and beyond. Although Sundance’s relationship with the archive is meant to support its primary mission of “wider audience” and Outfest is more preservation-bound, both organizations are perfect examples of what can be achieved through the right kinds of communication and outreach. Kirste writes “[m]ost archival repositories share the same mission: to gather materials that fall within their collecting mandate; protect their holdings from harm and damage; identify, organize and catalogue materials; preserve deteriorated items; and make their collections publicly accessible.” (Kirste) The UCLA Film and Television Archive holds true to those standards. These are its primary goals and these are also reasons why Sundance and Outfest selected this location to house their collections. Out of all the archives where they could have placed their materials, UCLA has one of the best research facilities for moving images in the country, let alone the world. In addition to the obvious benefits of preservation, respect and care, having students, scholars and other noted individuals be able to access their moving image materials will only benefit these organizations in the long run. The Sundance Institute's Web Banner in support of their archive and independent film preservation! In layman’s terms, this situation is like a baseball game where all the disenfranchised players are kept sitting in the dugout- not for one inning or for two, but for the entire game. Heavy hitters like Spielberg or Lucas no longer have these troubles, but they’re not in the minor leagues anymore nor do they traffic in difficult subject matter (or if they do, it has only been after they made a grip of cash!). While every filmmaker should ideally be responsible for the preservation and survival of his/her own creative work, once you become a contributing artist, you have made a commitment to your work’s transition in identity. Whether it is to a film festival or a series of On-Demand titles, the materials have migrated from a singularly-created piece to being part of a larger collective body. Regardless of where the termination point is, these materials have a need to be preserved and archived. As organizations like Sundance and Outfest have shown, it is entirely possible to have the best of all possible worlds. It simply requires communication on both ends- archival and institutional/business. Both Sundance and Outfest have On-Demand titles, and both organizations have partnerships with a major moving image archive in order to assure that all the blood, sweat and tears that their filmmakers have put into the festival submissions get preserved in the best way possible. If we use these as models, who is to say that we cannot create further archives and/or collections for all the materials currently being created? It is not unseemly for regional film festivals to work with regional film archives, nor would it be unseemly for funds from the VOD market to be filtered back into the preservation of their own newly-created digital materials. Partnerships between Video-on-Demand aggregators and larger moving image archives would only seem to make sense, as the housing and care of digital materials is a delicate process. As Strother Martin said in Cool Hand Luke (Stuart Rosenberg, 1967), “What we’ve got here is, failure to communicate,” and that is the state that we are in currently. It is not the state that we will always be in, nor will it be the state that we should always be in. The fact that organizations such as Gravitas Ventures are currently collecting Video-On-Demand titles and serving in a programming capacity means that they want to support independent filmmakers and would like to make sure that they succeed. However, it is the lack of preservation concern that is of concern, not unlike the survey that was the subject of this year’s Digital Dilemma. For an industry that is quickly transitioning to one of the most delicate forms of information storage in history, it is certainly fascinating that no one was anxious about the state of preservation. To this end, I believe it important to remember that balance is essential in this equation. Balance is what drives good communication (a good conversation is 50/50), balance is what will allow our moving image culture to remain healthy (let’s not let our living room become our theater and our theater become our living room), and balance will give our moving image heritage a chance to have a decent future (let’s not let the onset of new technologies affect our desire for preservation, shall we?). In the end, I have faith that it will be the strength of our relationships and the determination of a film community that refuses to let technological hiccups stand in the way of silver screen enjoyment. 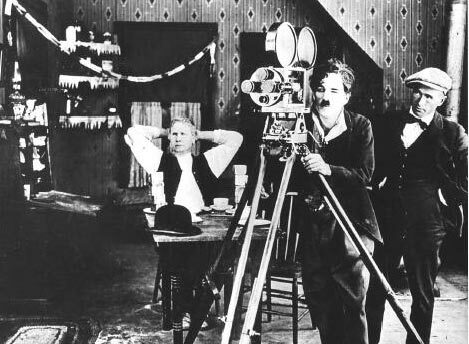 After more than 100 years of the moving image, one would be hard pressed to imagine a world without it. Barnes, Brooks. “Neither Smurf Nor Wizard Could Save Summer Movie Attendance.” New York Times 4 September 2011: http://www.nytimes.com/2011/09/05/business/media/summer-movie-attendance-continues-to-erode.html?_r=3&pagewanted=all. Benic, Adam. Email Interview with Adam Benic Ariel Schudson. 16 March 2012. Dance Camera West. Dance Camera West: Submission. 2012. 20 March 2012 <http://www.dancecamerawest.org/submit.htm >. Fritz, Ben. “”Margin Call” Approaching Nearly 250,000 Video-on-Demand Rentals.” L.A. Times 10 November 2011: http://latimesblogs.latimes.com/entertainmentnewsbuzz/2011/11/margin-call-video-on-demand.html. Gracy, Karen and Michele Cloonan. “Preservation of Moving Images.” Advances in Librarianship (2004). Kirste, Lynne. “Collective Effort: Archiving LGBT Moving Images.” Cinema Journal (2007): 134-140. Lang, Brent. “VOD Rides to the Rescue of Indie Film (Updated) .” The Wrap February 2012: http://www.thewrap.com/movies/article/vod-rescue-how-one-format-saving-indie-film-33085?page=0,0. Lyttelton, Oliver. “As Mel Gibson’s Latest Film Goes Straight to VOD, Is This a Glimpse of the Future of Distribution?” Indiewire: The Playlist 3 February 2012: http://blogs.indiewire.com/theplaylist/as-mel-gibsons-latest-film-goes-straight-to-vod-is-this-a-glimpse-of-the-future-of-distribution. Miller, Daniel. “Sundance 2012: The Day-And-Date Success Story of ‘Margin Call’.” The Hollywood Reporter 18 January 2012: http://www.hollywoodreporter.com/news/sundance-2012-margin-call-video-on-demand-zach-quinto-283033. Murphy, Michael. Making VOD Distribution Work for You: An Expert Series Seminar with Michael Murphy from Gravitas Ventures Stacey Parks. http://www.filmspecific.com/public/1157.cfm. Outfest. Outfest: Legacy Project. 2011. 21 March 2012 <http://www.outfest.org/legacy/&gt;. —. Outfest: Legacy: Anniversary. 21 March 2012 <http://www.outfest.org/legacy/anniversary/&gt;. Raindance Film Festival. Raindaince: Submission FAQs. 21 March 2012 <http://www.raindance.co.uk/site/index.php?id=533,6984,0,0,1,0#q30&gt;. Regent Park Film Festival. Regent Park Film Festival: Submissions. 21 March 2012 <http://www.regentparkfilmfestival.com/submissions.html&gt;. Science & Technology Council. The Digital Dilemma 2: Perspectives From Independent Filmmakers, Documentarians, and Nonprofit Audiovisual Archives. Technology. Los Angeles: Academy of Motion Picture Arts and Sciences, 2012. Smith, Ethan and Lauren A. E. Schuker. “For Indie Films, Video-on-Demand Fills in Revenue Gap.” Wall Street Journal 10 January 2011. Total Rewind: The Virtual Map of Vintage VCRs. Total Rewind: Format War. 21 March 2012 <http://www.totalrewind.org/sidebars/F_data_frame.htm&gt;. Ulin, Jeff. The Business of Media Distribution: Monetizing Film, TV and Video Content. Oxford: Focal Press, 2009. While I’ll admit I was saddened, I can’t say that I was shocked. I watched as the article made its way, slowly but surely, through all of my friends’ Twitterfeeds and Facebook pages. I considered the fact that a year ago I would have been devastated and that this year I don’t think that this article is the sign of the apocalypse, even if I do prefer cinema that is shot on film. As a rental company, Panavision is committed to supporting our customers worldwide by providing them a wide range of camera equipment which includes film cameras. We continue to support our fleet of film cameras, and that includes ongoing major refurbishment, which in many cases means almost a complete rebuild of existing product. There is still significant demand for film equipment in many of our key markets, including studio feature film productions. So, while our ongoing focus is the transition to future products in the digital world, the implication that we’ve quit the film business isn’t accurate. I guess the idea is to learn and to think critically. It is also to understand that film is changing, even if it not always for (perhaps) the best. The responses to Panavision’s statement are somewhat more fascinating than the concept that there will never be another brand-new film camera made. Clearly the lack of new cameras will not be problematic. The world is chock-full of them for rent, and, as Panavision stated, they are more than willing to make sure that said-items continue to function at top capacity. So then my question is this- what does the film camera “death” really mean to people? What does it mean to me? The people who reacted to Panavision’s facebook “status” were of a few types: the vultures (are you selling any cameras? I’ll buy ’em if you are! ), the denial-ists (of course you’ll still support REAL film!) and the realists (this is great news for all sides). My reaction? More on the real. The digital is here and getting bigger but there is no reason to reject our foreparents. In my mind, there is no reason why it cannot all coexist. But that’s another entry. What this is really about is a kind of nostalgia and fear that most of us cinephiles have. We react to change about as well as a Mogwai does to a midnight snack, which is to say…not very well. We hear the word “digital” associated with the cinema and, many times, it sets off a horrific panic in our system. Let’s be honest here. How many people do you know who view modern changes to projection, prints, restoration, or filmmaking as somehow a personal attack? Realistically, this is not always the most mature or thoughtful (let alone intelligent) critical approach to a medium that you love above all things. I AM GUILTY OF THIS. But I have started to reconsider my fan-girl-esque issues as they may not come from a place of knowledge, only a place of viscera. I believe that it is when we can connect the knowledge and visceral centers that we can have well-constructed analyses. While it may seem that I have “sold out” and the The Man “got me” that is wholly untrue. I am just as much of a True Believer as ever, only in a different, more centered way. 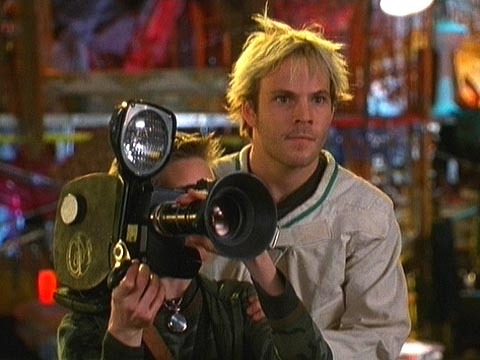 I cannot let nostalgia and personal engagement take precedence over certain elements of the filmic world due to the fact that I do love it so very much. I am in training to become an archivist, and while I completely disagree with one of my professors that Carolee Schneemann‘s work could be digitized and maintain its integrity and meaning, I have come to understand that the digital does have its place and space. Do I understand the issues involved with why all the theaters have gone digital with the exception of the wonderful New Beverly Cinema, and 2 or 3 others? Yep. I do. Do I like it? No, I don’t. This is one of the areas that I know has nothing to do with nostalgia: I just like sitting in the dark with other people and watching movies on real film. And I do wish that more studios would be sympathetic to the few theaters that still participate in this semi-arcane practice, at this point. Don’t just suggest that we play a Blu-Ray. I know Blu-Rays look REALLY nice, but…they don’t have the visual warmth. Especially with an audience. Realistically, I am totally willing to take base scratches on a print over the pristine cold of a Blu-Ray if I’ve got film fans around me. Movies are always 50% about what’s on the screen and 50% about who’s looking at the screen for me. But the film world is this marvelously organic breathing changing thing. It always has been. I expect it always will be. To expect it to stay the same is to desire stagnation. The methods we use to tell our stories change. The ways we communicate our film discussions change. We change. I suppose we cannot realistically get any angrier at the technologies now than when sound came in. It was a rocky beginning, but who knows? Maybe in a few years? That said, my patience only goes so far. This would have to be where I draw the line: I am exceedingly impatient at anyone in the younger generation (or current generation, for that matter) that uses their phone in a movie theater. To text, to call, to take a picture/screen cap of the screen, any of that. That is the one thing that drives me completely up the wall, and I will NEVER be able to tolerate that change in our world and I find that aspect of technology exceedingly tiresome. I do not have the ability to cope with that and I’m ok with that Area of Crankiness. I do not believe that the death of the film camera means the death of film itself. I have also started to come to terms with the fact that film is heading in a very different direction than it ever has before and I am looking forward to becoming part of that world and making sure that a strong bridge between the old and the new is maintained. I think what will be key to this maintenance will be the formulation of a mutually beneficial structure amongst all the cinefiles. I’m not entirely sure that is possible, as cinefiles are amongst the most opinionated, obsessive and fan-culture-iffic folks I’ve ever met, but I believe it is worth a try and I certainly plan on doing my part.